West’s surreal visit to the White House was a gift to The Daily Show host. 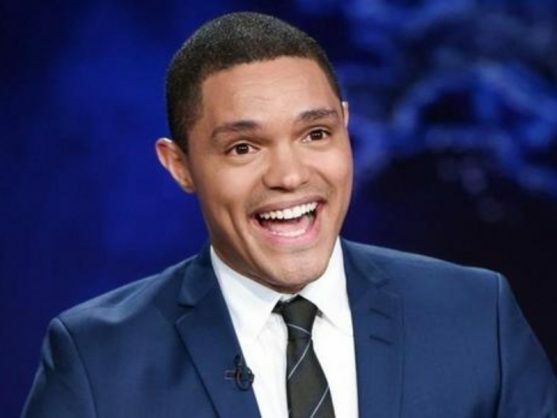 Trevor Noah has picked apart Kanye West’s visit to the White House after the rap star launched a surreal monologue about his love for Donald Trump that quickly went viral. West – or as he likes to be referred to now, Ye – had been invited to lunch to discuss prison reform but turned what would ordinarily have been a dignified White House photo-op into possibly one of the more unusual — and profanity-laden — encounters in the Oval Office’s storied history. Talking loudly and rapidly on everything from Trump’s protectionist trade policies to replace Air Force One with a hydrogen plane, black gun crime, being married to Kim Kardashian and “infinite amounts of the universe,” West left the normally loquacious president nearly speechless. Noah used a segment on The Daily Show to point out that Trump’s reaction to West’s diatribe was pretty similar to most people’s reaction to whenever Trump steps up to the mic, saying that it was pretty great to see “Kanye make Trump feel like Trump makes us feel every single day”. Noah said that while Trump offered West a compliment, what he was really thinking was how quickly he could get West out of the Oval Office.